Plus: Fine dining for less, Chinese takeout, all-you-can-eat buffets, gourmet tacos, sandwich steals, independent drive-thrus, and more. There is a time for a tasting menu, and there is a time for a torta. 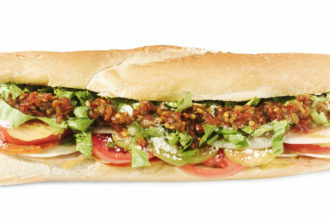 More often than not, it’s torta time. But when it comes to cheap eats, we often expend much less effort to seek out the best. We get lazy. We order UberEats or go to old hangs. Don’t get us wrong—the ease and comfort are very much a part of the appeal. But sometimes we want to make sure we’re getting the biggest bang for our basic buck. So we sat down at Lee Harvey’s with Dallas chefs to find out where they go for ramen and onion rings at the end of the night. We tracked down some great places to drive through (for sushi!) and park and eat (for banh mi!). We waited in line to find affordable all-you-can-eat buffets for vegetarians and carnivores alike, and sandwiches that satisfy for under $10. 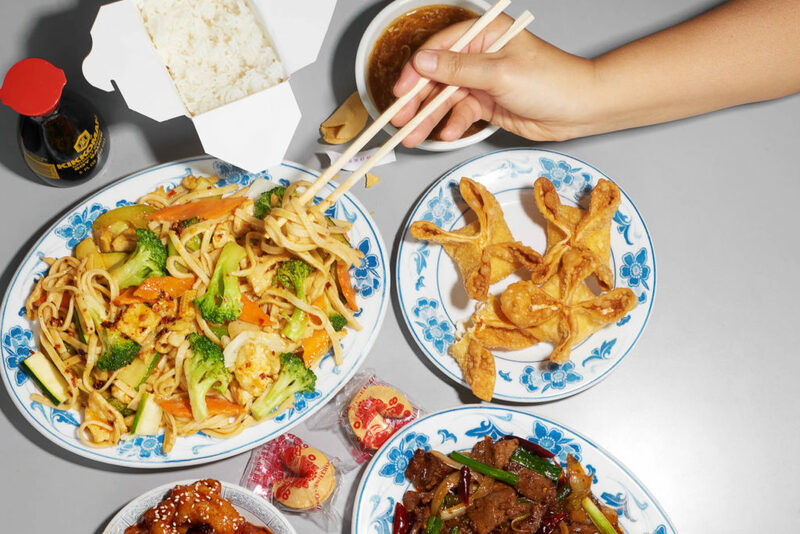 Some of the best inexpensive meals are meant to share: family-style chicken dinners, Chinese takeout, and an international array of budget banquets. And for those who still want the tasting menu, we’ve got some insider tips on how to enjoy high-end dining at some of Dallas’ best restaurants for petit prix. And tacos. Did we mention fancy tacos? It’s time to dig in. There are places for grabbing and going and places for sitting and dining. And then there are the places in between, meant for parking and eating, because the burger is just too juicy or the parking lot too convivial to stay inside your vehicle. We still don’t pronounce it right or know exactly what it means. But for those of us for whom Taqueria El Si Hay was our first taco stand, it will always hold a special place in our cotija-clogged hearts. If you’ve ever waited in line for a prime patio seat at Bolsa, you’ve witnessed it: the endless line of cars pulling into the pitted lot that surrounds the tiny red, white, and green stand. People sit on car guards or stand in a second line in front of the elotes man on the side as they wait for their street-style tacos. Some say the al pastor is greasy. We say that’s what the double corn tortillas are for. This burger drive-in has been flipping thin patties for more than 50 years. Roll up in your car and let the wait staff come to you. For $2.89, get the No. 5: topped with lettuce, tomato, and onion (by request) on soft poppy-seed buns covered with Thousand Island-style dressing. Make sure you have a napkin handy, you don’t want to drip all over your steering wheel. A couple of years ago, Brooke Humphries converted a 1950s gas station into a burger stop with a raffish, vintage-style mascot. What we still love: fluffy potato buns stacked ridiculously high with bur-gers and their fixings, fresh-cut fries, and retro banana pudding with a modern surprise (dig deep for the caramelized wafer bits). 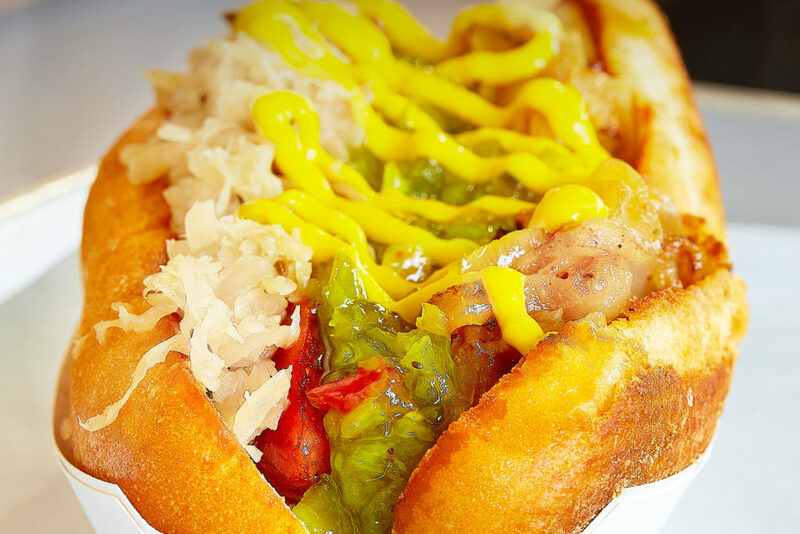 What we still crave: the Street Car, a bodacious dog drowning in house-cured sauerkraut, caramelized onions, and house-made tomatillo pickle relish, and drizzled with classic yellow mustard, its split bun buttery and burnished from the flat-top. Cruise into the gravel lot off Lamar in The Cedars and step up to the small cinder block building with the mural. When Reye Duong—the tattooed, Buddy Holly glasses-wearing chef—pokes her head out of the window, order a banh mi. 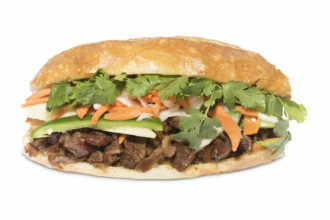 Any banh mi. Hers are habit-forming, whether it’s the house-made Vietnamese pork sausage, tender and perfectly textured; lemongrass pork; or ginger-soy tofu, all topped with a roasted garlic aioli and the cool crunch of house-pickled carrots and daikon. She also turns out summer rolls and house-made boba tea in flavors like lemongrass-lychee. When you hit Trinity Groves, just keep going west. It’s nearly impossible to miss this walk-up burger stand on Singleton Blvd. with its vibrant, Popeye-themed mural and mustard-yellow awning. Park your car in the lot and stroll up to the order window for a thin-patty double cheeseburger and fries. You’ll have to return to your car with your meal because there’s no dining room here, but that adds to the kitschy, low-key fun of the place. The drive-thru line at this iconic Park Cities restaurant often trails down the street and snakes into the Snider Plaza parking lot. If you roll down your window as you wait, your senses will be bombarded with the piquant, greasy aroma of fried poultry. It’s the ultimate Pavlovian tease leading up to the feast that awaits you at the pickup window. Whether you’re ordering a one-piece chicken dinner for $6, a chicken fried steak meal for $12, or a 12-piece family pack for $31, you’re leaving here with a deal. Be sure to add a serving of banana pudding to your order. It’s worth its $3.69 price tag. There are no fryers to be found in this kitchen, nothing contains corn syrup, and forget about sodas with aspartame. This is health-conscious food that comes fast and without the guilt. The eggs are organic and cage-free, and all of the poultry is devoid of hormones, antibiotics, and nitrites. And that 100 percent grass-fed beef burger from Burgundy Pasture Beef in Grandview, topped with avocado, applewood-smoked bacon, and white cheddar, will only set you back $9 and some change. Wash it down with a blueberry-pomegranate smoothie and pat yourself on the back for being good. It’s hard to overlook this funky little sandwich shop that’s been on Lemmon Avenue since 1974. The flamboyant hot pink, neon blue, and school-bus yellow exterior practically begs for attention. But don’t let the kitschy facade fool you into thinking the sandwiches here are anything short of superb. Unless you’re doubling up on meat, none of the options cost more than $8. We recommend the namesake Great American Hero: Genoa salami, baked ham, bologna, and provolone. There’s a good chance the woman working the window will call you “sweetie,” ask how your day is going, and then tell you about her affinity for Harley-Davidsons. You’re in friendly hands here. If you peek through the delivery window and past the registers, you’ll spot a man donning a Japanese chef’s hat slicing fish behind a sushi bar. He’s preparing the meal that’s about to be handed to you in a white plastic bag. The rolls here go well beyond California rolls. They’re also quite good, a step up from grocery store grabs and at a fraction of the price. Most varieties cost $7, and the restaurant offers $5 daily hibachi specials. Just be prepared to sit in your car for a bit longer than your average drive-thru. But, hey, at least you know the food here is made-to-order. Chances are you’ll be able to purchase your meal using the change that’s currently piling up in your cup holder. No, really. Do you have eight quarters? That’s enough to get you a full chicken breast. How about 18 dimes? Enjoy some mashed potatoes. 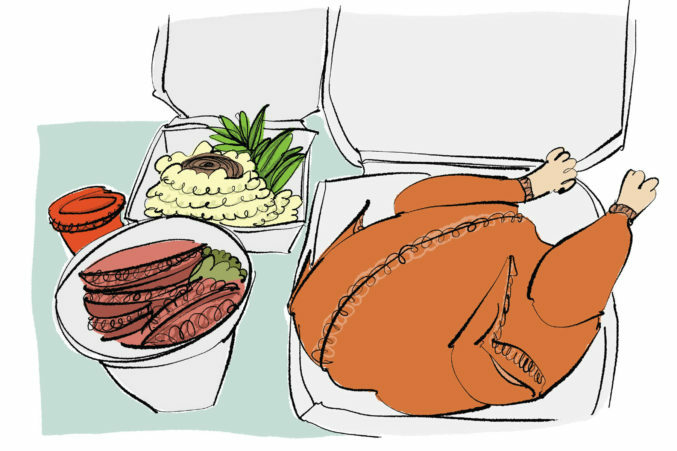 It’s the chicken dinners at this Old East Dallas drive-thru that are the real draw, though. For $8, you can get a three-piece meal. That’s a lunch special if we’ve ever seen one. The chicken bits are gargantuan and perfectly breaded and fried, resulting in a crispy exterior and glistening, tender interior. Pro tip: don’t try hollering into the speaker attached to the menu. It doesn’t work. Rather, pull up and order with the nice middle-aged man at the window. 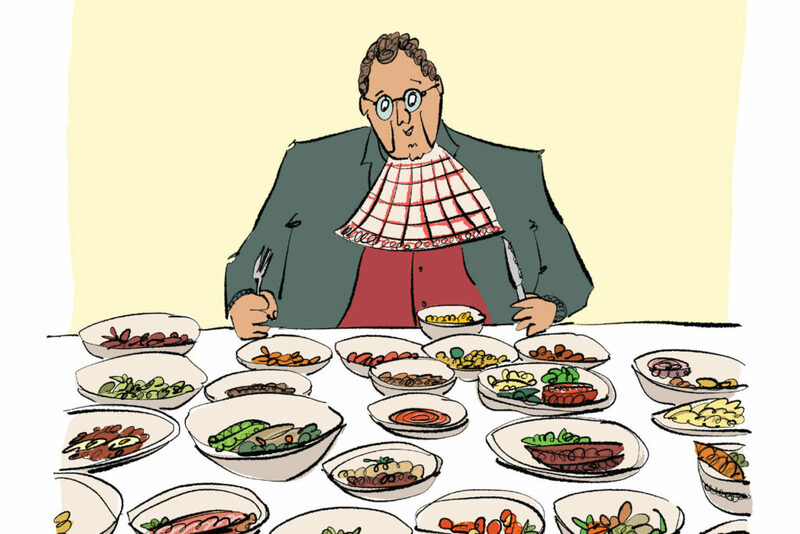 We like to think of ourselves not as competitive gluttons but as enthusiasts of culinary diversity. These six places make the indulgence of our every whim worth our expanding waistline, without breaking the bank. Dimassi’s Mediterranean Kitchen turned out to be a happy accident after a tennis match at Canyon Creek Country Club. The Sunday crowd made us feel underdressed, but we abandoned all shame by the second run for chicken makloubeh, eggplant baked in pomegranate molasses, and kafta kebabs. Skip the runny hummus in favor of the smoky baba ghanoush. As for Persian-specific, Kasra is the place for ghormeh sabzi, that enchanting dish of herbs and dried lime; kashk-e bademjan, a rich eggplant and onion dip topped with whey; and fesenjan, a mesmerizing stew of chicken, walnuts, and pomegranate molasses. 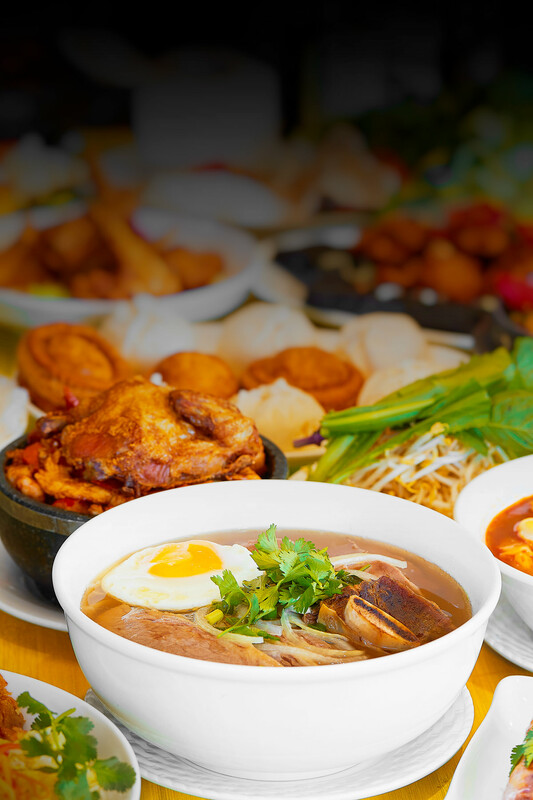 We’ve been hitting Vietnam Restaurant for the $9 weekday lunch buffet for more than a decade. The coconut curry chicken, stir-fried green beans, and tangy fried tofu with bok choy are favorites; the lemon bundt cake and fried bananas feel like home. Kalachandji’s will always warm our hearts with its cinnamon-raisin swirl bread and bottomless tamarind tea. It’s manna for the vegetarians among us. For an everyday buffet, Mumtaz Indian Restaurant is homey and nice, with good saag paneer and tables lined with gold-embossed doily place mats and red tablecloths and a painted vision of the Taj Mahal. But Chennai Cafe has the most sumptuous weekend buffet. The kitchen does wonderful things with vegetable and coconut dishes from Southern India: subtle curries; masala dosas bright with spice; tart, soupy rasam; and an impressive array of sweets, from gulab jamun to crumbly ladoo. Someone ladles rice batter onto a griddle to make lacy appam, served with coconut milk. Dallas is lousy with high-end sandwiches, which may be filled with top cuts of steak, lobster, and, in the case of Grange Hall’s $25 Snob Sandwich, Petrossian smoked salmon and caviar. But for a weekday lunch, we prefer a more proletarian repast. We found six that satisfy—and surprise—for under $10. Stop at the front for a $4 glass of prosecco before you head back to the butcher counter to order the classic: a crusty Italian roll stuffed with mortadella, capicola, soppressata, and pepperoni, topped with an italiano tricolore of shredded lettuce, provolone, and tangy red pepper relish. 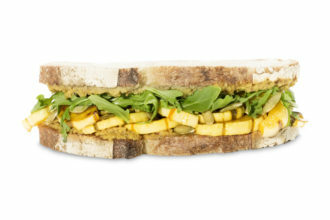 Vegetarian sandwiches, unless they are full of melted cheese, tend to disappoint. Not this one. Gorgeous strips of roasted winter squash and bits of arugula are spiced with coconut curry tahini and given an added crunch with toasted pepitas. The crusty pain au levain, baked on-site, provides a hearty chew. Once inside the Cali Saigon Mall food court, we head straight for the small Bánh Mì #1 stall in the back. We can’t stay away from the No. 8: barbecued pork, pickled carrots and daikon radish, cucumber, cilantro, and slices of fresh jalapeño served on a crusty Vietnamese baguette. Bring cash. Sons of a Guanajuato baker, Raul and Martin Solis opened their first sandwich shop in a former Dairy Queen near the Texas Theatre. The neighborhood favorite is the milanesa, a fresh-baked bolillo topped with crispy yet tender slices of breaded pork shoulder. Use the house hot sauce sparingly. Forget the burgers that made this joint famous. 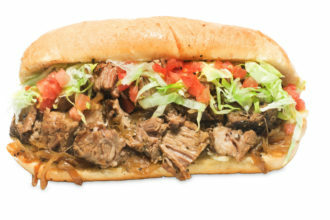 We come for the slow-cooked brisket, smothered with melted Swiss and caramelized onions and served on a soft roll. Get a side of the “red sauce,” a red wine vinegar seasoned with Italian herbs, to add a tang to Nick Badovinus’ beefy bliss on a roll. 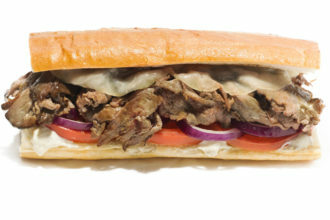 Named for the octogenarian actress who made “Where’s the beef?” a catchphrase in the 1980s, this Deep Ellum shop’s hot roast beef sandwich packs an equally feisty punch, with its melted provolone, tomato, and red onion kicked up with a creamy horseradish sauce and a side of peppery au jus. At Sachet, they offer trios ($14) or quintets ($21) of their 18-strong list of elegant, vegetable-based Mediterranean meze. Consider pickled baby turnips over a sultry purée of Syrian red lentils served with spelt focaccia, warm from the wood-burning Tuscan oven. Or spring for the four-course pre- or post-theater prix fixe ($35 per person). Is it too much to ask for a world of indulgence in one bite? Not at Lucia, where, amid the starters that feature house-cured meats, Jennifer and David Uygur’s wink to rationed opulence is a single prune stuffed with foie gras mousse for one dollar. It’s a munificent emissary from the land of milk and honey. 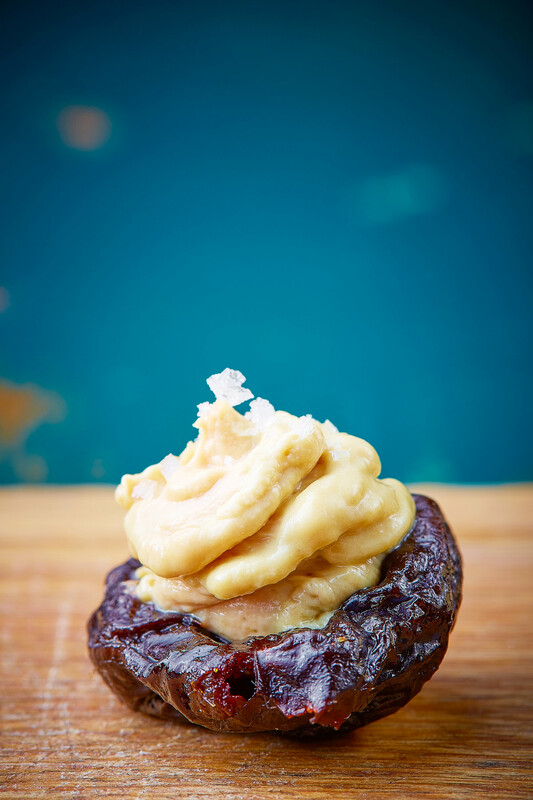 We covet the brilliantly affordable Sake Social bites at Uchi offered daily from 5 to 6:30 pm. Jewellike compositions, both serious and playful, dazzle—and all for $8 or under. Sip a $3 masu of Takara Nigori while letting your eyes wander to the foie gras nigiri from the regular menu, twin bites of perfectly seared decadence for $9.50. Lunch at Tei-An means the gentility of complimentary pressed sushi enjoyed in view of a tranquil rock garden. For a brilliant showcase of what Teiichi Sakurai does best, order a sampler of his delicate buckwheat soba noodles, served cold on a wicker basket (zaru) with four dipping sauces—pecan, walnut, black sesame, and soy ($12). If anything matches the sensory overload of Bistro B’s interior—colored lights, fake blossoming cherry trees, and blinking neon signs—it’s a spread from the menu’s hundreds of items. At 1 a.m. on weekends, when the bars are closing, head to the border of Dallas and Richardson with your last friends standing and cover the table with bowls of pho, hearty Vietnamese breakfast platters of com tam, and lacy crêpes swaddled in herbs and meats. And don’t forget: at any time of day or night, the banh mi are “buy two, get one free.” We know people who venture here when they’re throwing a party to pick up several dozen orders cut like finger sandwiches. There may be no better artist’s palette than a great, round disk of spongy teff-flour injera, the Ethiopian bread that acts as utensils and plate, arranged with portions of stewed dishes that have surrendered their souls to subtle spice. Yes, please, to the ginger-spiked cabbage. Yes, please, to smooth lentils and the sunset reds of smoldering doro wat that has drunk Berbere spice and butter. For those in your party who want a meatier option, order the spicy rib-eye tibs, hunks of beef slowly braised with tomatoes, jalapeños, and a house spice blend. Tear off pieces of injera, pinch, and find happiness. It’s an all-hands-in feast. We love the special intelligence of the Southern Indian tradition of bhojanam—lunch served to you on a banana leaf-lined tray. At this small, refined spot in Irving, the weekend delight begins with fresh watermelon juice. On the side, a bundhi mix of roasted peanuts and puffed rice for crunchies. Then comes the feast: fish curry, gingery and bright; mutton curry; creamy bottle-gourd pickle; potatoes laced with curry leaves; two rice dishes, one a vegetable pulao. A tiny pot of ghee makes a pleasure of anointing things. And a final sweet brings scents of nuts and cardamom. Once you’ve ordered your crispy kimchi pancake to dunk in scallion-laced vinegar sauce, your mound of lacquered, sweet-soy marinated short ribs that arrive sizzling and spitting on their grill, and your tteokbokki (rice cakes with a river of spicy sauce), every meal starts the Korean way. Someone sets out the tantalizing array of little dishes called banchan. These are your complimentary playground: bean sprouts in sesame oil; funky kimchis of daikon and Napa cabbage; cucumbers in chile sauce (fiery and refreshing); macaroni salad; sliced hot dogs; miso-glazed Japanese sweet potatoes; strips of fish cake; and wedges of a savory egg custard—so you can play a game of mix-and-match set off by scoops from little bowls of rice. It’s hard to beat the math: order three things; end up with 20. It may seem obvious, but Si Tapas is the spot for plotting an old-world rendezvous over an impressive repertoire of traditional tapas. The ambiance is lovely in the little house in the State-Thomas neighborhood, and nothing aside the shared paellas runs outside the $5 to $10 range. So gather and share silky boquerones (anchovies), wedges of Spanish tortilla in Cabrales blue cheese sauce, florets of cauliflower in almond sauce, and the extraordinary house croquettas, plump with Serrano ham and plenty of béchamel. Maybe add a bowl of Castillian garlic soup with bread cubes and an egg broken into the broth. All accompanied by sangria or house wine. Chef Wang, located below Main Street in the tunnels, is always popping at lunchtime. This buzzing restaurant is buried in the tunnels below Main Street and is a popular lunch spot for downtown dwellers. Ogle the tank that’s home to lively yellow and blue fish as you wait for your order of Kung Pao chicken. They don’t deliver, but to-go orders fly out the door. If you ask the woman working behind the counter of this strip-mall restaurant how long they’ve been open, she’ll respond with “a long time.” Thankfully, for those who really do love egg rolls, they’re very good here. As are the fried dumplings. On those nights when we don’t want to cook—or, more precisely, we don’t want to clean up afterward—we’re partial to the family meal of fragrant roast chicken, yellow with achiote and charred on the grill, that comes with Mexican rice and charro beans at El Rey Del Grill ($20). Or there’s the semi-legendary Backdoor Chicken at Velvet Taco, which comes with corn tortillas, roasted corn pico de gallo, and a couple of sides of elotes ($20). But when we find ourselves north of the President George Bush Turnpike, we always stop at Farmbyrd Rotisserie & Fry. Founded by Dallas chef Ryan Carbery (Bailey’s, Patrizio) and pitmaster Tim McLaughlin (Lockhart Smokehouse), the restaurant serves a delectable, hormone-free roast bird, amply seasoned with a slightly sweet barbecue spice blend of chiles, paprika, and oregano (the roast tomatillo salsa is the perfect tangy accompaniment). If you order the family dinner for four, you’ll get a whole rotisserie chicken with corn tortillas or a fried chicken with bread, and a double portion of your choice of two sides for $30.99. Go for the flash-fried cauliflower, sprinkled with Parmesan, and the Texas Pecan & Bleu Cheese Slaw sweetened with dried cranberries. Then grab a fork for some quick quality control before heading home. You can find good tacos almost everywhere. But some chefs have taken the humble tortilla and used it as a canvas, fashioning gourmet tacos for the common man. Here are our favorite bites worth the extra buck. 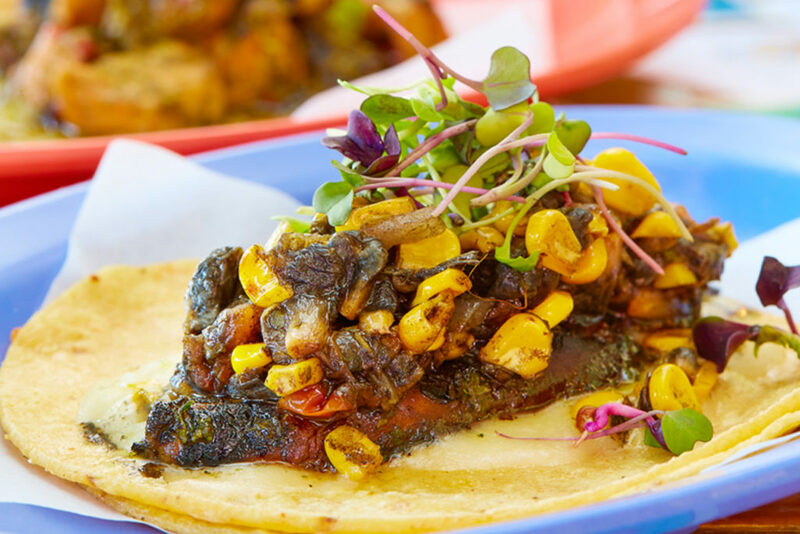 At Tacos Mariachi, Jesus Carmona has the bravura to marry fresh huitlacoche (corn fungus) with roasted portobello mushrooms ($3.75) or smoked salmon with griddled cheese ($4.75). Andrew Savoie’s fine-dining background comes through in Resident Taqueria’s ethereal daily fish tempura topped with shredded cabbage and lime crema, and the caramelized cauliflower with lemon-epazote aioli, pepitas, and crispy kale ($3 each). Regino Rojas and Hugo Galván rule the luxe proteins at Revolver Taco Lounge, serving duck breast garnished with caramelized onions and roasted poblanos ($7), and octopus under frizzled leeks ($4). Fino Rodriguez serves artful authenticity at Taquero, from tender street-style lengua with cilantro and onions ($2.50) to the blue corn Olmeca, a rich freight of steak, bell peppers, and onions, crisped on the griddle and overflowing with Oaxacan cheese ($7.50). 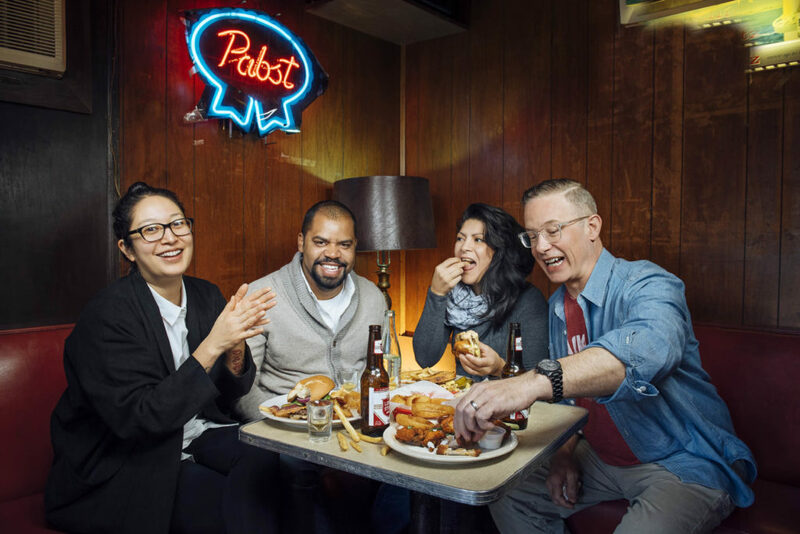 (from left)Angela Hernandez, Junior Borges, Misti Norris, and Brian Luscher chow down at Lee Harvey’s. “It may be gross, but I love chicken nuggets,” Norris says. “On UberEats you can order two orders of 20-piece chicken nuggets and two large fries from McDonald’s for $9.99. 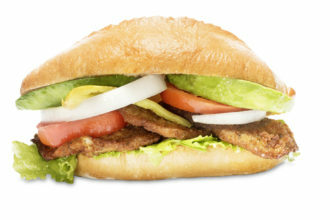 My favorite cheap go-to is Tortas Las Tortugas. The La Especial is amazing. Skip the fries and get chips. And because I love The Cedars, the cheeseburger and onion rings at Lee Harvey’s are high on the list. 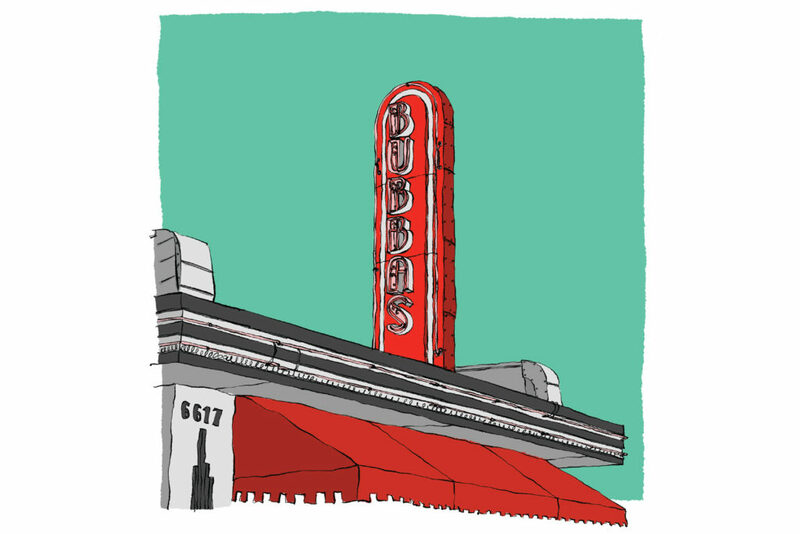 Luscher eats on the cheap in and around Lake Highlands, frequenting Pho Hanabi, Resident Taqueria, and Dairy-Ette. “Dairy-Ette is a Luscher family staple,” he says. “I get the same thing every dang time and I love it. I do not vary my order. Ever. I hope they never change.” His fix: a bacon double cheeseburger with everything on it, pickles on the side; onion rings; and a giant frozen mug of tap root beer.